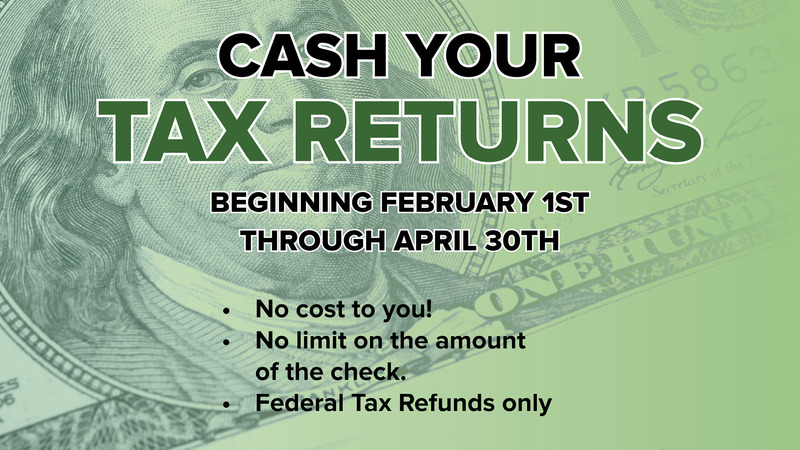 From February 1st, 2019 through April 30th, 2019, bring your federal tax returns to the cashier window and cash them! There is no cost to you and there is no dollar limit on the amount of the check. (Federal Tax Refunds only). See the cashier for all the details!